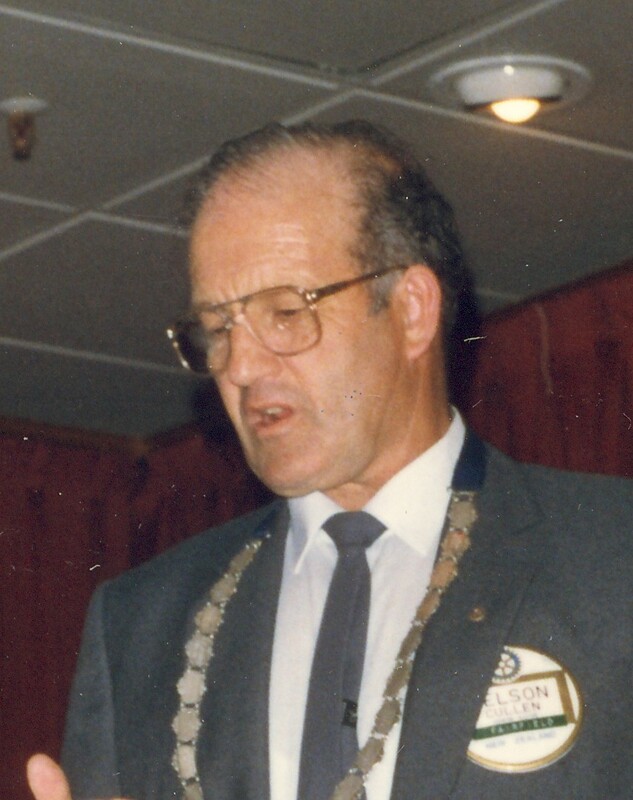 This exciting and busy year saw the start of Polio Plus, for which the Club raised over $8000; $3200 coming from PHF Frank Forster’s sale of his paintings and $600 from a Rotary wives' Fashion Parade. Student hosting included Malena Mylleniemi from Finland and Jason Terk from Texas. There were three exchangees through the matched twin programme. A ladies’ GSE Team from Toronto was hosted. Club activities included a tramp in the Karangahape Gorge with Paeroa Rotary, a progressive dinner, a white elephant auction and the fruit tray fundraiser. Bill Moody, Bill Parsonson and Elgar Henry were honoured as Paul Harris Fellows.